The American Health Council is proud to appoint Ms. Jaimie Krzynski to its Board of Nurses. 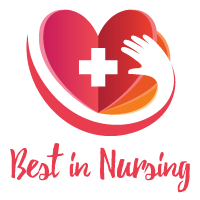 A current Travel Nurse for Travel Nurse Across America, the AHC is recognizing Ms. Krzynski’s feats and expertise within Pediatric Intensive Care Units. 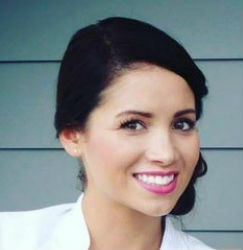 Based in Albuquerque, New Mexico, Krzynski possesses 6 years of experience within the healthcare industry, with 2 years in her current role at Travel Nurse Across America. She graduated with her ASN in 2011 from Central New Mexico Community College, and has recently obtained her BSN from The University of New Mexico. She has had the privilege of working with some of the top children’s hospitals in the country. Ms. Krzynski became involved in her current nursing profession due to her interest in becoming a part of the field of Pediatric Care, attributing her success to her past and present collaborations with wonderful, like-minded people. At Travel Nurse Across America, Krzynski engages in day to day responsibilities, which include traveling to various hospitals throughout the United States, working in the Cardiac and Neonatal Intensive Care Units as well as the Pediatric Intensive Care Unit. Throughout her career, which began in Urgent Care and a Pediatric Neurology Clinic, she has been most proud of being part of a specialized team that caters to the needs of children and their families. Professional awards and honors which Ms. Krzynski has obtained include a Certificate of Recognition by Cook Children’s Nurse Residency Program. Besides the American Health Council, she is professionally associated with The National Society of Leadership and Success, the American Association of Critical-Care Nurses, the Society of Pediatric Nurses, the Pediatric Cardiac Intensive Care Society, the American Nurses Association, and the Emergency Nurses Association. Krzynski has also been garnered as a Presidential Classroom Scholar by The National Society of High School Scholars, and has received an Air Force 377th Squadron Bright Star Award. Ms. Krzynski is involved in several charities, including Operation Kindness, Joy Junction, Planned Parenthood, St. Jude Children’s Research Hospital, Children’s Miracle Network, White Helmets, and the Leukemia & Lymphoma Society. Striving to complete her DNP degree while working abroad, Krzynski enjoys the outdoors, backpacking, horseback riding, kayaking, and photography in her spare time. Whether you’ve been a travel nurse for years or you’re just starting out, Travel Nurse Across America understands the challenges life on the road can bring. The Travel Nurse Across America team has the most experience in the industry and uses it to make sure our travel nurses have a smooth, headache-free experience each and every time. Travel Nurse Across America is one of the best travel nursing agencies in America.